PRACHUAB KHIRI KHAN, 16th October 2018 (NNT)-Coconut farmers in Prachuab Khiri Khan have urged the Ministry of Commerce to lower coconut imports and list coconuts among controlled goods to prevent a price slump. 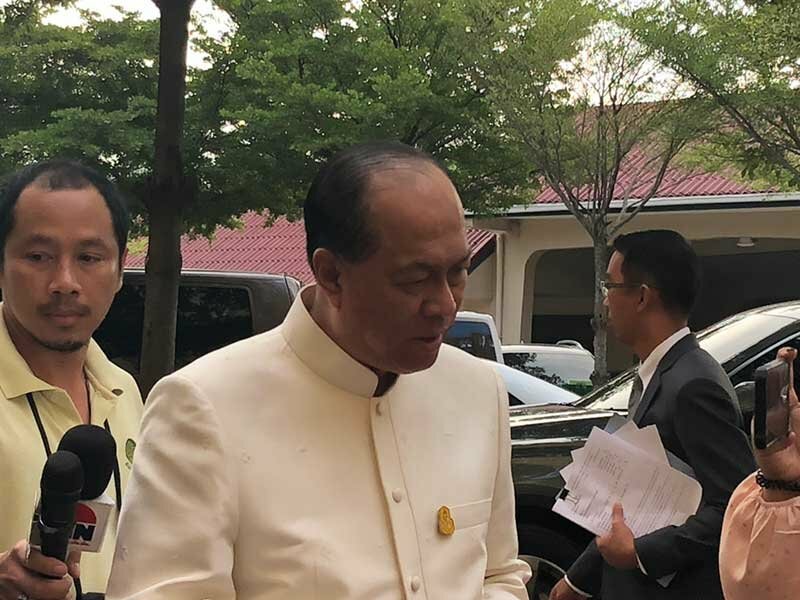 Interior Minister Gen Anupong Paojinda has revealed that a meeting between a group of coconut farmers and local government officials in Prachuab Khiri Khan has led to a peaceful conclusion. The farmers are no longer planning to visit Bangkok to call on the government to solve the pricing problem. The farmers proposed that eight measures; such as limiting the quantity of foreign coconut imports and including coconuts on the list of controlled products, be implemented soon to prevent the coconut price from falling further. Such measures have already been submitted to related agencies for consideration. The Interior Minister added that the meeting was an example of how any issue occurring within a province can be resolved quickly and contained through talks. He claimed the same approach could be used elsewhere to prevent any problem from becoming too large to handle.